Armani and Verity’s career speaks for itself. Armani was bred by Verity out of a rescued Thoroughbred broodmare, found by Verity’s sister, Jackie, in a scrap yard in Spain. Armani’s dam Anuska was imported to the UK in 1995 and Armani was the 5th foal out of Anuska. Verity put her student loan to work to invest in her future, using the KWPN stallion Libro – and what an investment that was! Verity not only delivered the foal herself, but also trained, backed and schooled Armani. At this time, Verity had been training with the late, great Helen Sissons, who sadly passed away in 2011 and never saw Verity realise her dream of riding at Prix St Georges (PSG). In her memory, Verity rode her first PSG wearing Helen’s tail coat. But Armani didn’t stop there – she went on to compete up to Inter 1 level at Premier League shows, stopping only to begin her new career as a broodmare at the age of 13, in 2014. Armani never had a lame day in her career, and never had a joint injection – which is very rare for horses at that level in this day and age. Armani has now produced two top quality foals – Bianchi by Belissimo M, and Faberge by Florescount. Valerie Croft – best friend to Verity for many years, until her untimely death after a valiant battle with cancer, in 2012, bred Sandro Sun. Part owned by Verity, Sandro Sun was by Sunny Boy (Sandro Hit x Donnhall) and out of Diamentina, a beautiful mare by the Grand Prix KWPN stallion Delpie. Verity backed and trained Sandro Sun to BD Medium level. He was life approved and graded by the Sports Horse Breeding (GB). Sandro Sun had just established changes before his sad sale in 2014, due to Verity’s divorce. Sandro Sun is the sire of Verity’s homebred mare, Soul Sister. His temperament was second to none – a wonderful trait all his foals have inherited. Rubinho was an 18.1hh grey gelding owned by Natalie and Roy Kemp. He came to Verity as a last resort, with exasperated owners after he obtained an ASBO from every yard he had lived at. Rubinho needed a Hobday and Tieback operation, which sadly no one had previously realised this and he had been made to work without being physically able. This had resulted in a very angry and sour 18.1hh horse. Once he had gained weight and was well enough for his operation, it was carried out. Once he had recovered from the procedure, he began training with Verity. The first six months were tough, including some “life threatening” moments, but after which he settled well into his work and within 12 months won at the BRC National Dressage to Music Championships. He even represented England in the BD Home International at Novice level. 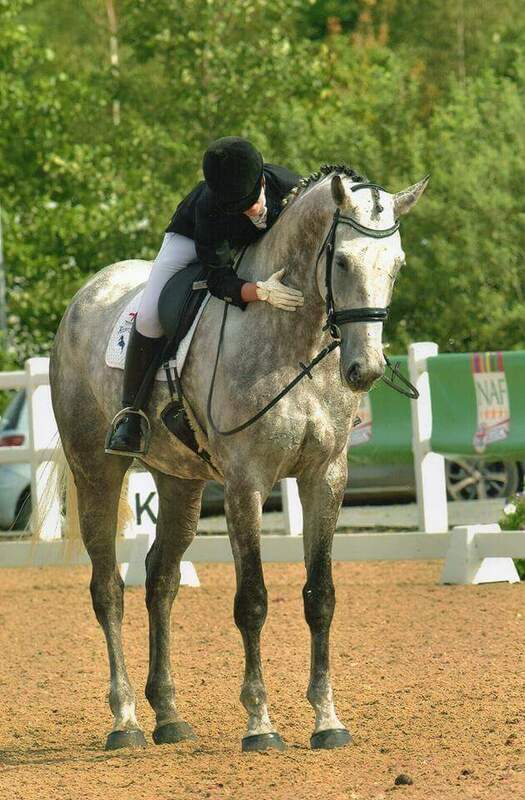 Rubinho went onto compete at BD Medium level with Verity and had started learning his changes, before he was sold to Scotland, where is now enjoying the life of riley with his devoted owners. Soul Sister is by Sandro Sun, and was the one and only horse Verity bred by her part owned stallion. Soul Sister was well placed in every County Show she entered, even going Champion as a yearling at a local level show. Under saddle, Soul Sister has been a fantastic eager and giving ride. Her first outdoor dressage tests were representing Cornwall at the BD Inter County Challenge teams, with Verity, where she went Champion, winning the overall Prelim section. 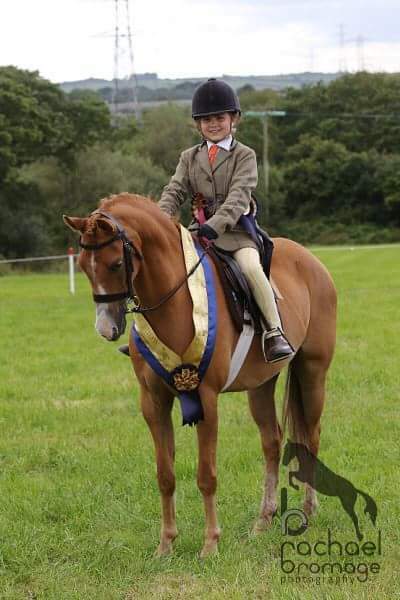 Then only a few weeks later, she achieved a convincing 2nd place at Devon County Show in the Novice Riding Horse class – the youngest in the class by 2 years! Bianchi is a 2016 chestnut gelding by Belissimo M, out of Verity’s Inter 1 mare Armani. Destined for great things, Chi, as he is known at home, is quite a character and generally over friendly. 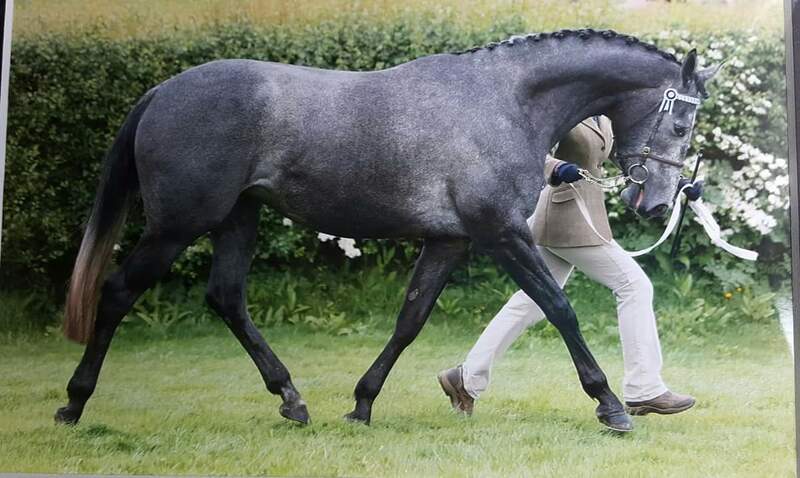 He has only competed in one show to date – Royal Cornwall 2018 – as he was a late June foal. He achieved a very credible 4th place in very good company. He is set to be Verity’s next super star. 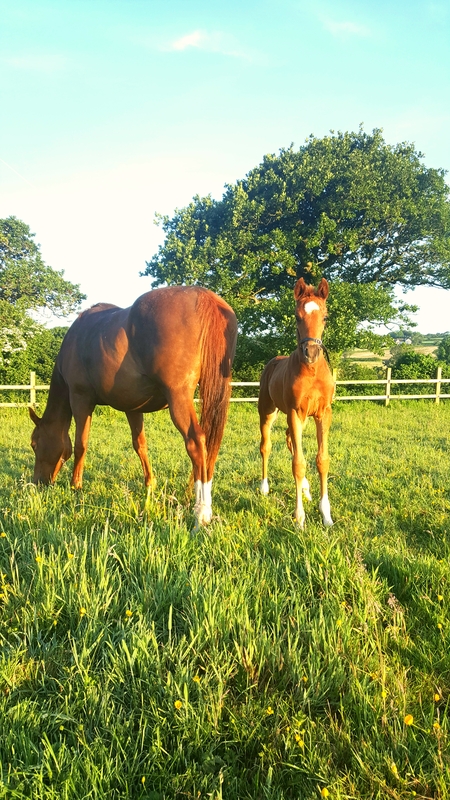 Faberge is a 2018 chestnut filly by Florescount, our of Verity’s Inter 1 mare Armani. Verity’s plan is to retain Fab, as she is known at home, as her future competition horse. With her exceptional breeding, she is sure to set the dressage world alight in the not to distant duture. Silverline Lightning, or Light as he is known to his friends, is a 154cm Piebald gelding and is used in the riding school. Verity did not expect to be purchasing such a genius in a horse’s body! He learnt all the moves up to BD Medium level within 12 months – having not been able to canter united on his arrival. In 2017 he partnered Cathy Craddock to become part of the BRC National Quadrille Championship winning team, for Cornwall Trec Riding Club. He has now competed at Medium level – winning and qualifying for the BRC Dressage to Music National Championships in October 2018. 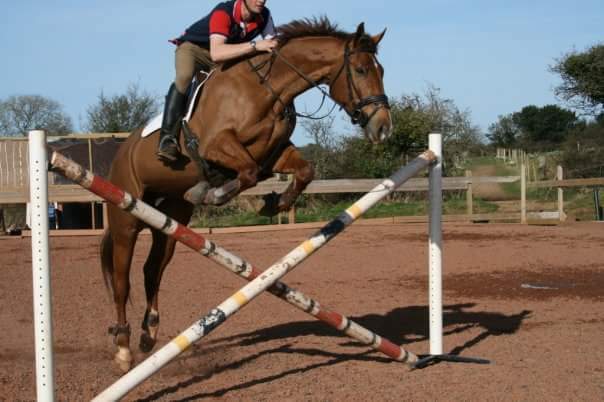 He is available for riding lessons for riders, from novice and nervous, through to advanced. Light is so kind and patient he has even taken a disabled rider and riders prone to panic attacks. Ronnie Cob was our riding school cob for 10 years, but sadly due to a field injury she had to retire. As the injury did not fully heal she was sadly put to sleep in 2016. 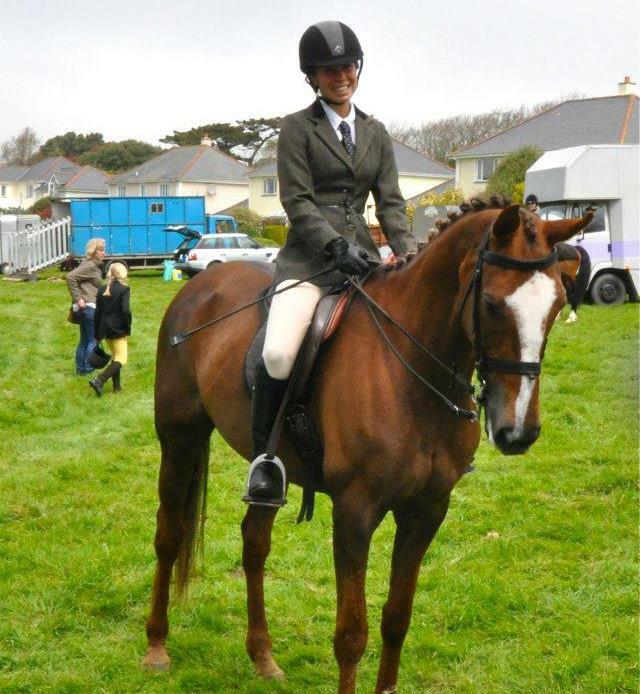 Ronnie went to Olympia on two occasions as part of the BRC Quadrille National Championships, representing the Cornwall Trec Quadrille Team and she helped many a rider gain their confidence. All the team at Rosevidney will always be grateful for her service and she will never be forgotten. Rescued by Verity, Fluffy was a 13hh Bodmin Moor pony. He was backed and trained by Hannah Underhill who took him onto compete British Dressage at Elementary level. He even represented the South West on the BD Inter Regional teams., before becoming a great partner to Austyn. Sadly Fluffy developed Epiglottal Entrapment, which resulted in an operation that was not successful. A tumour then grew from the operation site and sadly Fluffy Wuffy was laid to rest in December 2015, leaving Austyn bereft. Father Christmas would not let Christmas be a disaster and promptly found Bronheulog Popcorn, who became Austyn’s next mount. Bronheulog Popcorn is a 13hh chestnut Welsh B gelding. Father Christmas brought Popcorn for an 8-year-old Austyn, who has just lost his pony Fluffy Wuffy. Popcorn went onto to wing 6 straight championships the following showing season. He won many classes and Austyn had great fun with him. Sadly in 2017, Popcorn was struck down with Equine Metabolic Syndrome and the family worked hard to get him over it. Luckily he made a good recovery and x-rays showed no founder, so Popcorn was brought back into work, and enjoyed his first Pony Club Camp in 2017. 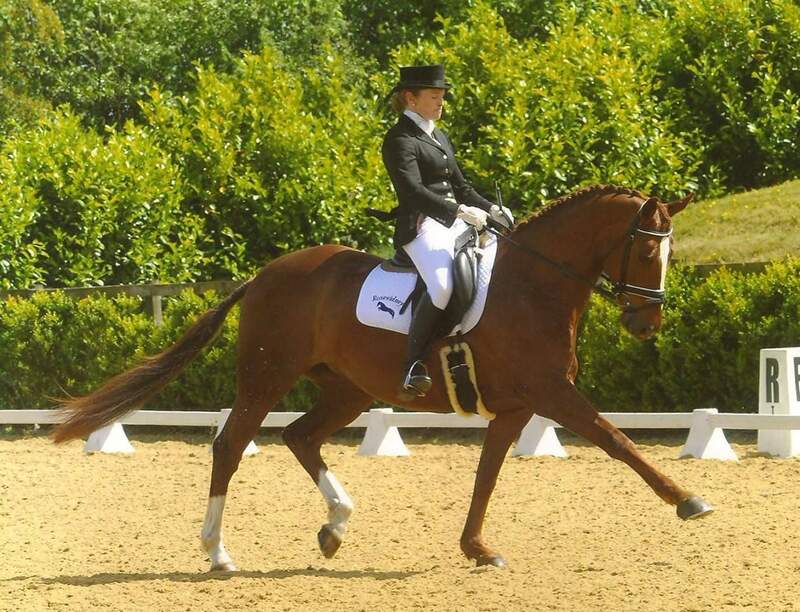 Austyn and Popcorn made their debut at British Dressage in 2018, with two firsts and two seconds in his two outings. The decision was made to sell Popcorn in 2018 due to his talent in dressage and Austyn beginning to focus more on jumping. Popcorn is now training in dressage with a family in Somerset. Millcroft Cherub is a 2004 12hh Welsh B mare. 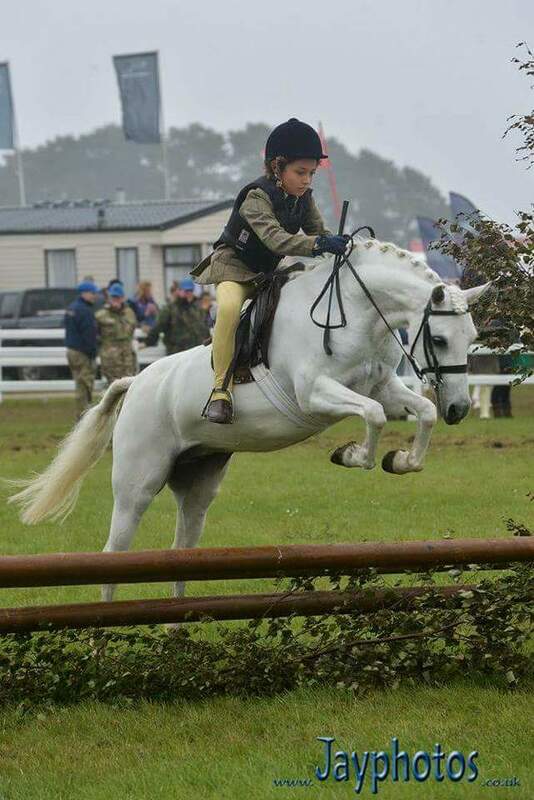 Purchased in 2012 through Claire Rushworth, Milly, as she is know to her friends, has been a top family pony. She has won many shows and been placed at County Level. She adores her jumping and has been Austyn’s perfect partner. 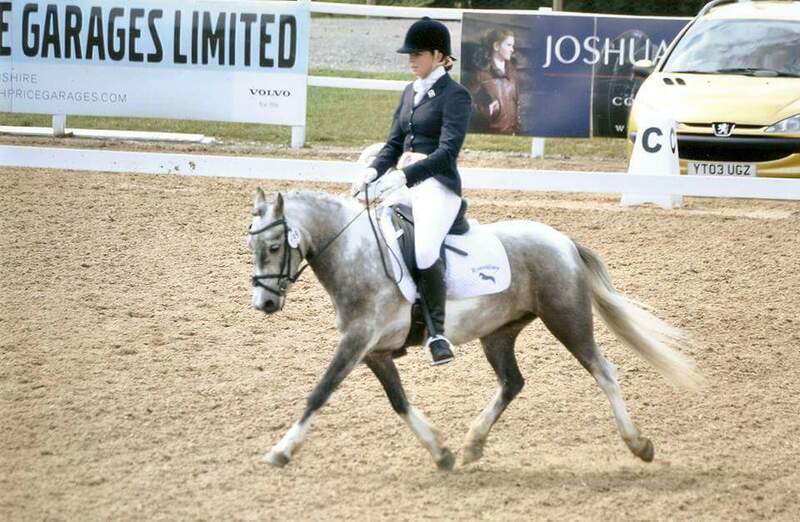 Milly has represented Cornwall at the British Dressage BYRDS Inter County teams. She has also qualified and went to the BRC National Championships at Lincoln in 2017, earning 9th in the class with a 9 year old Austyn, with competitors in their class being up to 18 years old. Milly took over as Rosevidney’s riding school pony after Fluffy sadly passed away. She is the most amazing pony at starting off young riders and helping riders with lost confidence issues. Available for lessons! Chyvounder Night Fever is a 2001 bay New Forest gelding. Bred by Alyson Devonshire and purchased in 2018 to be Austyn’s jumping pony. They have already started the 2018 season on a high, qualifying for the BRC National Championships at Lincoln and also the BRC National Dressage to Music Championships at Bury Farm. 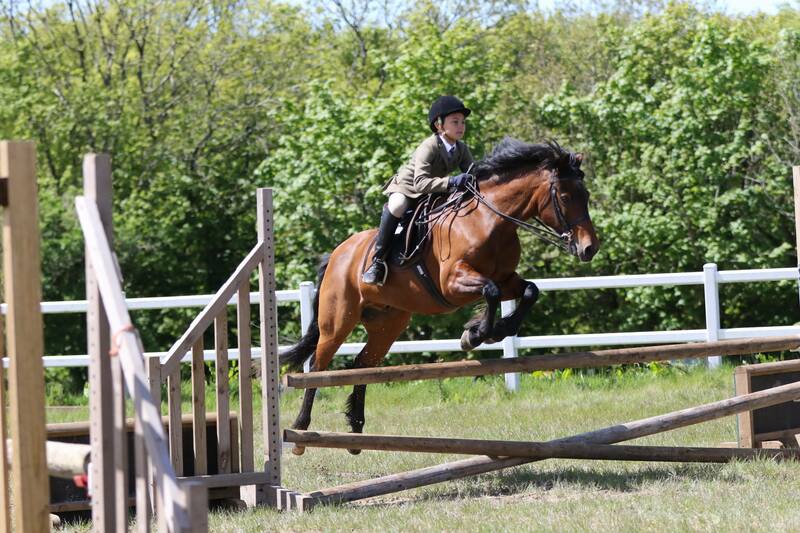 More recently the pair qualified for the 2nd round Pony Club Show Jumping teams. 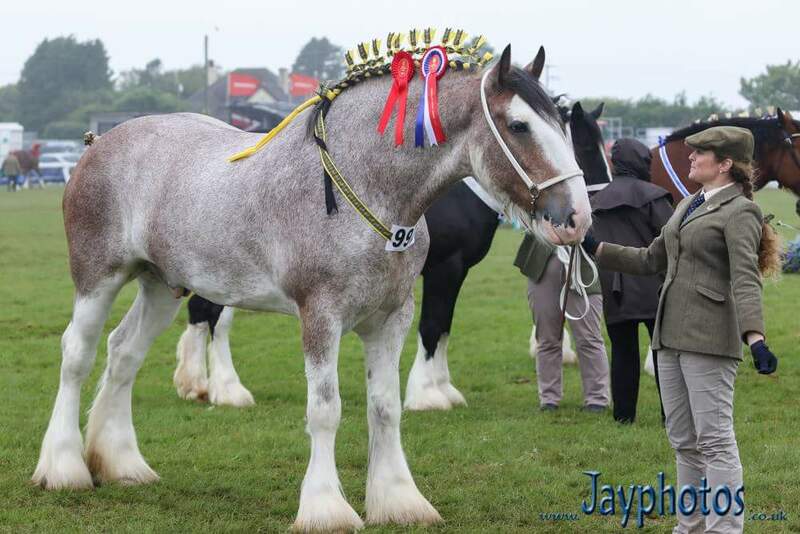 Whitehills Bleu is a stunning 17.2hh road Clydesdale gelding, owned by Lyn Thompson. Often know for her Whistlefish Clydesdales, Bleu had had quite a prolific career, including many county level wins. 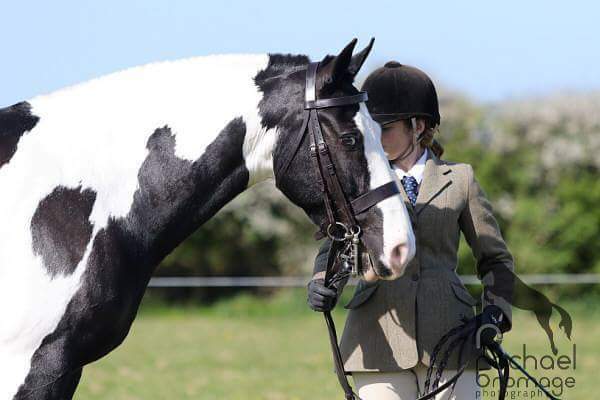 In 2017 he embarked into his county level under saddle debut and Verity hopes to qualify him for the British Dressage heavy horse championships in 2018. 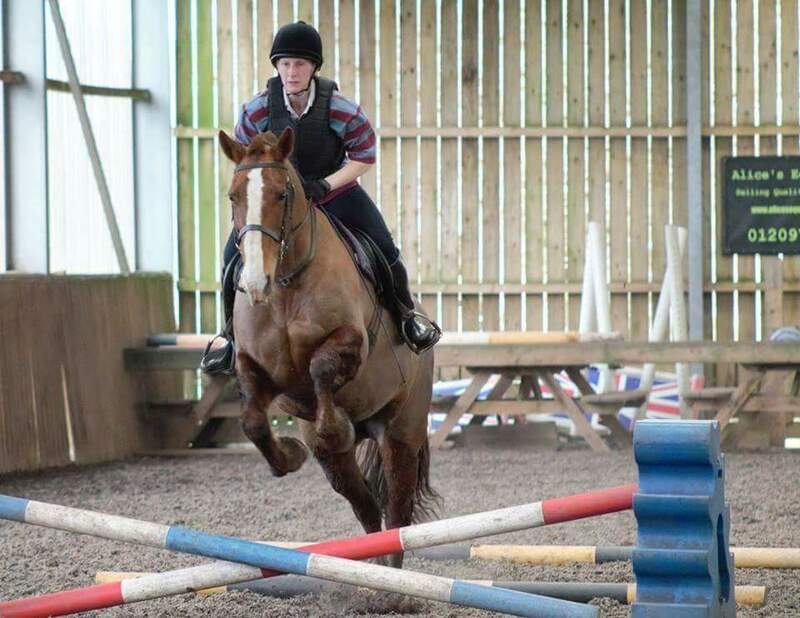 Tis Not Otto is a 16.3hh bay 2000 gelding by Nassau. 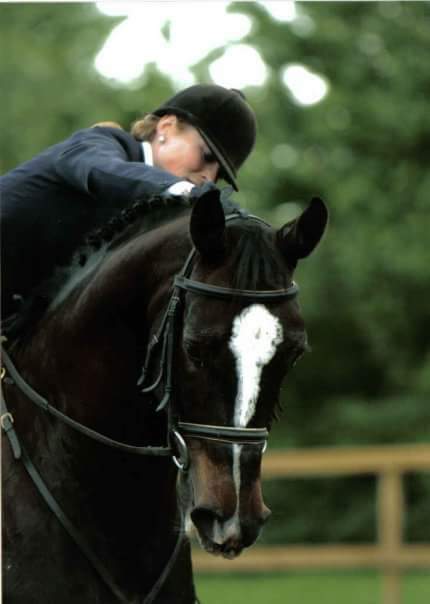 Owned by Verity’s ex husband, Verity started off Otto’s career in British Dressage and trained him initially, while his rider was busy with more experienced horses. Otto went onto achieve 80% in Young Horse classes and Verity even rode and competed him while pregnant with Austyn. 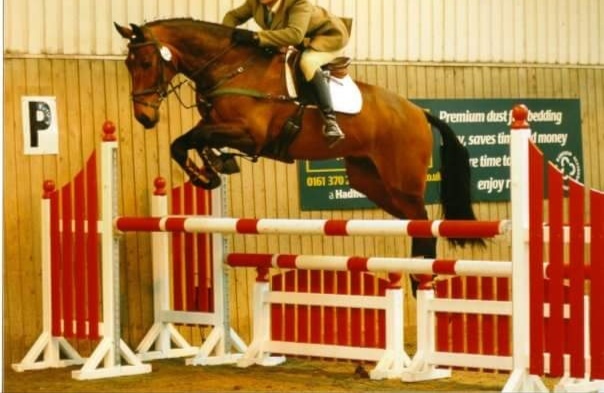 A very genuine horse who eventually evented to Intermediate level before retiring due to navicular. 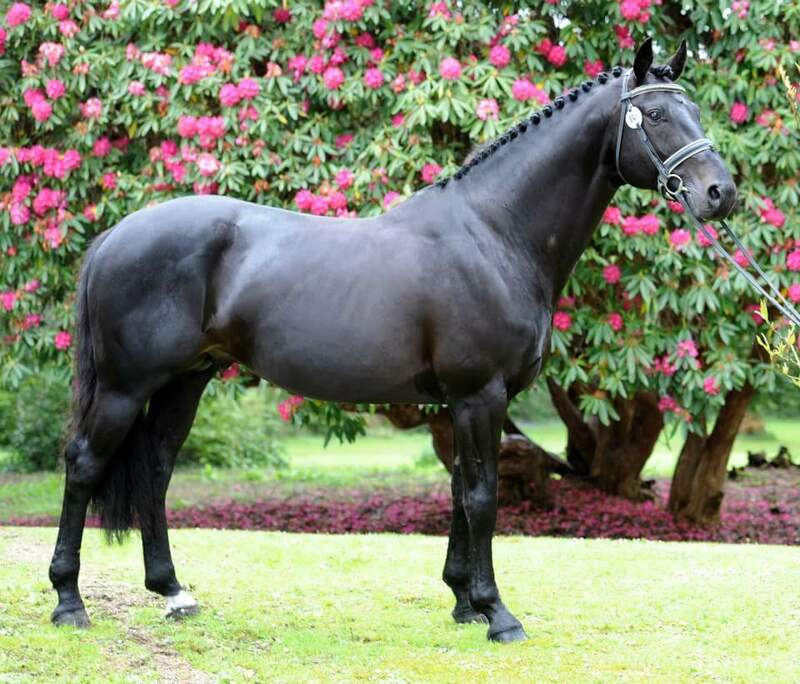 Owned by Linda Wilton, Labby, as he is known, is a 16hh black gelding. Backed and schooled on by Verity, he competed to Elementary level within 18 months of backing, before returning home to be his owner’s best competition horse. Anuska was a 15.shh liver chestnut 1988 ex racehourse. She was raced in Spain and was sold due to injury. She was found by Verity’s sister, Jackie, in a scrap yard down the road from her ranch. Unable to see the pitiful horse there every day as she drove to her stables, Jackie went and purchased the horse. 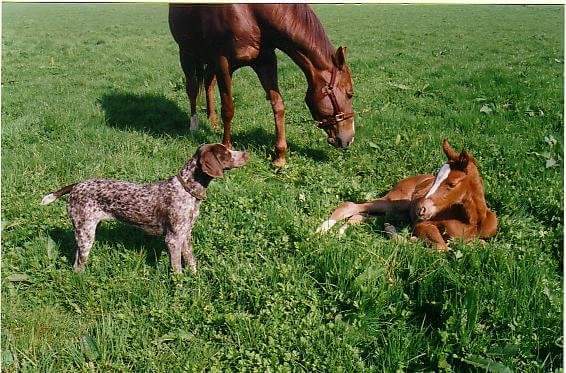 She bred a foal by her Andalusian stallion in 1995 and then wondered what she would do with it. Jackie returned Anuska to foal and sent her as a gift to Verity in the UK. Anuska had six foals in total – Armani being number 5 and Gucci K being number 6. Gucci K was the final foal born to Anuska. By the Grand Prix show jumper Libra K, Gucci was the softest and kindest horse you would ever meet. Finishing at 16.3hh, he went on to excel in British Show Jumping and British Dressage. Baldhu’s Choice, stable name Legs, came to Rosevidney as a livery, but was sadly abandoned by her owners. 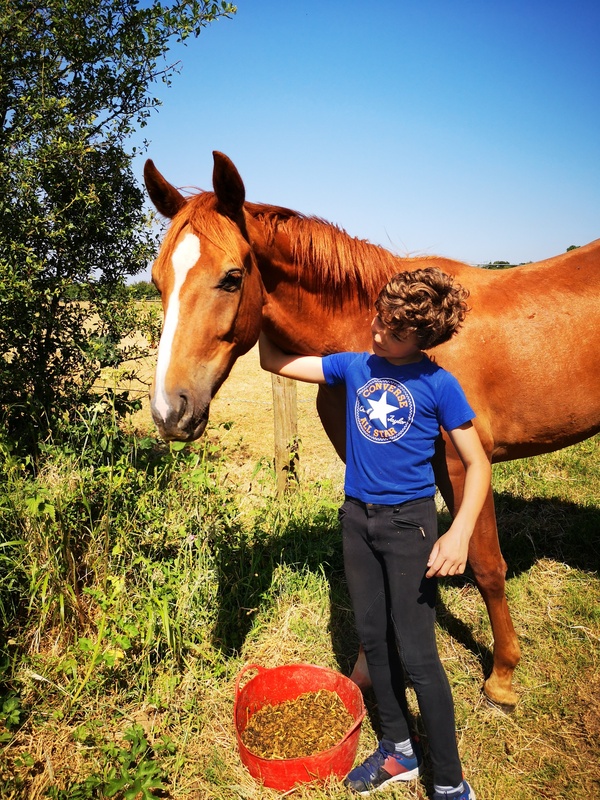 Nigel purchased the scrawny foal for Verity as a future competition horse – and what a great idea that turned out to be! Legs grew to 16.1hh – bred to point to point, she took Verity on to even up to British Eventing Pre Novice level. Sadly, her career cut short by pedalostitis, Legs was sold as a lower level schoolmistress, which she excelled at. As she came to retirement age, she was gifted back to Verity and was laid to rest at Rosevidney when the time came.